Here’s thing about hashtags. If you want your content to be found on Twitter and Instagram, you have to get serious about them. The last thing you want to do is spend your time, so very much of your time, creating an amazing graphic for your new book, or taking the perfect photograph, or creating the best flatlay, only to post it and hear crickets. Hashtags are the way to make sure that doesn’t happen. If you’re a book person at all, which I assume you are if you’re reading this post, you probably know about the Bookstagram theme on Instagram. With almost 10 million posts, it’s one of their most active hashtags. If you want to post anything about books, especially if you’ve created a great photo or flatlay for one of the many book-themed challenges, you want to add that hashtag for maximum exposure. But over on Twitter, that same hashtag doesn’t get as much traction. Bookstagram is very image-specific, so most of the time when you see it on Twitter, it’s because the accounts are connected and what the user posts on Instagram automatically posts on Twitter. But how would you know about #bookstagram if you’re new to the concept of hashtags or the social media world? Hashtag research. You have to do it. Here are some of the best ways to find out what hashtags you should be using for which platform. 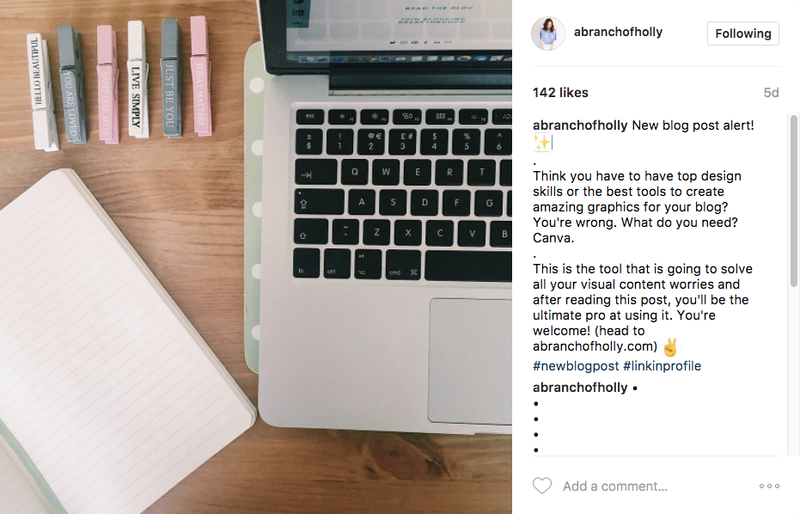 Want a list of the best Instagram hashtags for writers? Click here! First, the obvious. Search the platform itself. On the Twitter homepage, there’s a list of trending hashtags. You can check there if you just want to tweet about something current. Or do a search to find something you’re interested in and get related hashtags, for example #writing. When you search for that hashtag, it’ll automatically bring up a list of the top tweets with that hashtag. You can also have them listed by the latest tweets instead, or search for people who use that hashtag a lot. There are a few other options, but those are the best to use. Look at the tweets you find there, then see what other hashtags are being used in the same tweets. Click on those and repeat the process. Find someone who writes in your genre that has more followers or more books out than you do. Go to their Twitter feed and see what hashtags they’re using. Hashtag research. You have to do it. For Twitter, keep in mind that you can use as many hashtags as you can fit into your 140 characters with your actual tweet content, but here less is better. Just because you can use as many as you want doesn’t mean you should. Don’t use more than one or at most two hashtags per tweet. Any more will just look cluttered and people will be more likely to cruise right by without reading. And if you’re really trying to reach your readers, use those hashtags strategically. You might want them to see your unicorn frappucino, but #ilovetheunicornfrappucinosohard, on top of being a waste of characters, is also not something that anyone will ever search for, so no one will ever see it. Also, don’t drink the unicorn frappucino. It looks like Lisa Frank threw up in a cup, and from what I understand tastes even worse. On Instagram, this process is just as easy, and you’ll get even more information. When you search for a specific hashtag, not only will Instagram show you the posts with that hashtag, it will tell you how many posts have used that hashtag and at the same time will bring up a list of other relevant hashtags. This information is really important. When I check the #writing hashtag right now, it says there are 6,403,892 posts. That’s huge. But if your first instinct is “That’s the hashtag for me!”, slow your roll. Yes, you should use this hashtag, but it shouldn’t be the only hashtag you use. An Instagram hashtag with that many posts will move really fast. Your post, no matter how beautiful, will get lost in the shuffle very quickly. But that’s ok. The beauty of Instagram is that unlike Twitter, there’s no character limit, and the more hashtags you use the better. So definitely use the #writing hashtag, but also use some of the other tags that showed up when you searched for it. Instagram will allow up to 30 hashtags, and on this platform, more is more. Use as many as you can in every post. There’s an ongoing debate among Instagram users regarding where to put your hashtags. Some people like to put all of their hashtags on the post itself, like user @go.sally.go does here. And still others like to do a hybrid, putting the most popular tag in the post and the rest in the first comment like user @abranchofholly does here. What’s the difference? Why is this so hotly debated? Really it all comes down to preferences and optics. As you can see, each of these options gives a very different look to the Instagram post, and that’s really all it is. There’s no difference to how the post will perform, how many likes or comments it will get, or how it will rank. It all comes down to how you prefer your posts to look, and it’s completely up to you. So that’s a basic rundown on how to do hashtag research on the platforms themselves. But how else can you find out which hashtags are currently popular? There are several different apps and websites you can use for research. On my phone, I use an app called Tag O’matic. It’s a free app that’s really simple to use. You just type in the topic you’re interested in, say, “books”, and Tag O’Matic gives you a list of related hashtags. Check the ones you want and Tag O’Matic will copy them to your clipboard. Then go to Twitter or Instagram and paste them in. It connects directly to Instagram, which is great, just confirm you’re on the right Instagram account if you manage multiples. Also, delete the “powered by tag o’matic” at the end of the hashtag list before you post. It doesn’t hurt anything, it just looks a little tacky. Hashtagify is a popular website you can use that does much the same thing, but it’s a little more robust. When you first go to the website, it will show you the current trending hashtags, which is nice. Put your topic into the search bar, and it will bring up a sort of mind-map type of chart with the most popular tags related to that topic. I’m certain there’s a name for this type of chart, please feel free to comment and let me know what it is. 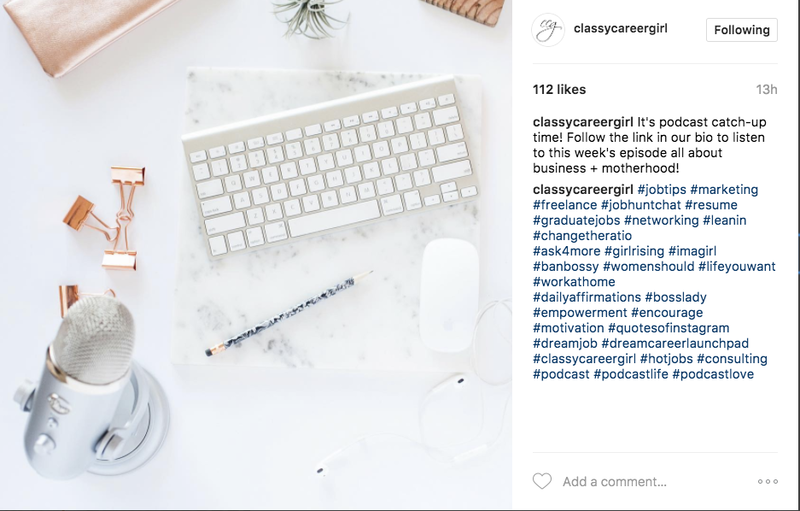 You can also just Google “best Instagram hashtags” or “best Twitter hashtags” and you’ll have plenty of options to choose from; lists, listicles, infographics, and strategies abound. The best way I’ve found to keep track of hashtags is to use an app. Use whichever app you prefer – Evernote, Trello, Asana, the basic note function on your phone. Whatever you prefer to use, get your favorite hashtags for each topic and keep them there. Then you don’t have to search for the best hashtag every single time you want to post something; you can just copy it from wherever you’re keeping it, paste it, and you’re on your way. 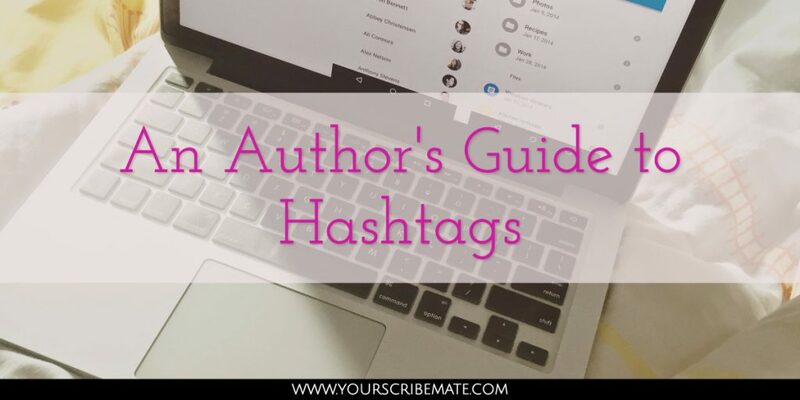 I have hashtag lists for books in general, specific genres, social media topics, and blogging topics, and when I’m writing a post or tweet, I just copy and paste the hashtag list. I know that hashtags seem like throwaway pieces of your social media strategy, but they’re so, so important. If you want to grow your following, for whatever reason, hashtags are the way to do it. Hashtags are the way your audience will find you and follow you, and hopefully become loyal readers. I was an administrative and executive assistant for fifteen years before deciding to make the skills I've learned work for me instead of someone else. Combining my skills with a lifelong love of books and reading was a natural fit. My passion is working behind the scenes to to get your words out into the world so you can do what you do best - write. Creative Market – Free Goods of the Week! Get tips on how to make your business run more smoothly! Behind the scenes looks at how Scribe Mate is running and what I've been up to! I promise you'll only hear from me when I have something great to share with you! Thanks so much for signing up. I'm so happy to have you here at Scribe Mate!